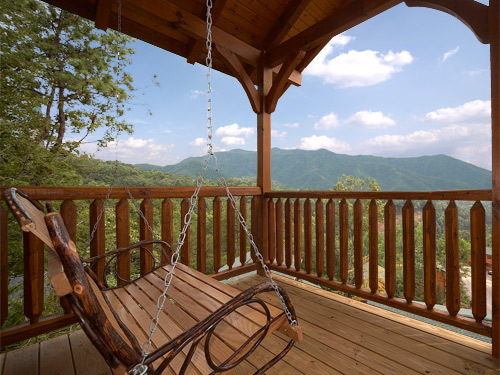 For a taste of utopia, come enjoy Viewtopia, offering the ultimate in relaxation and recreation overlooking breathtaking, in-your-face views of Mount Leconte. 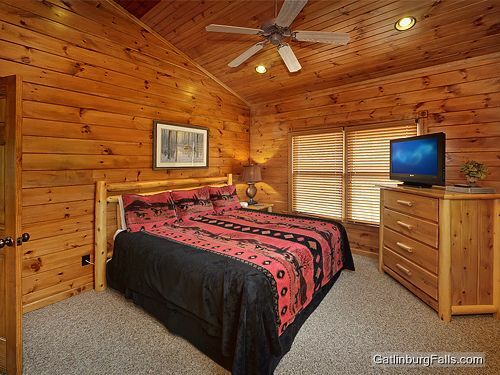 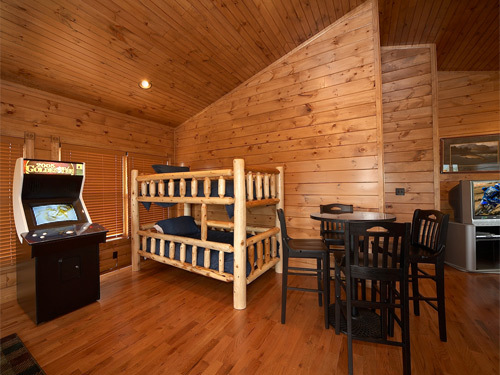 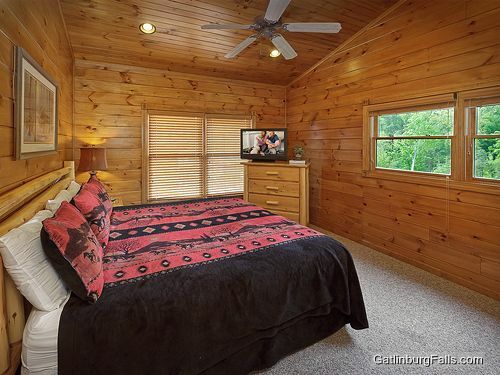 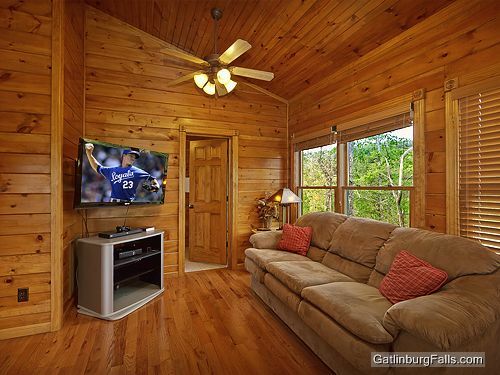 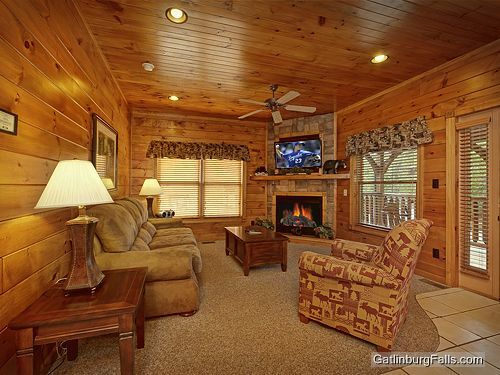 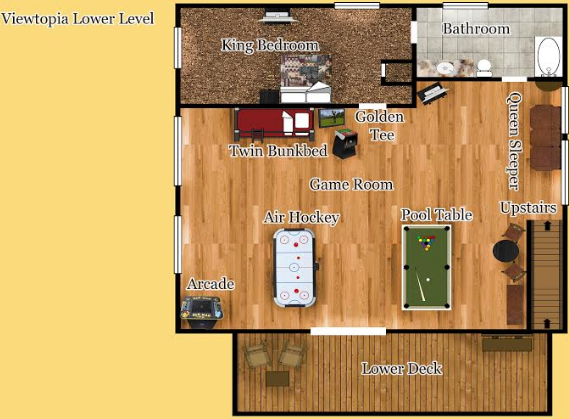 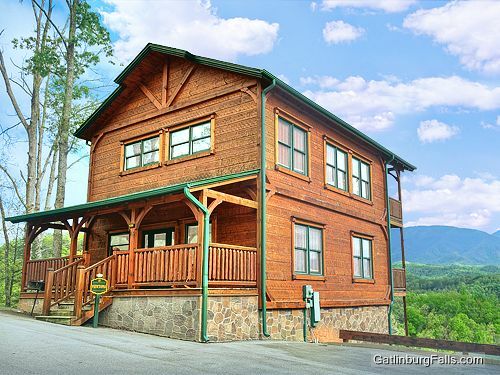 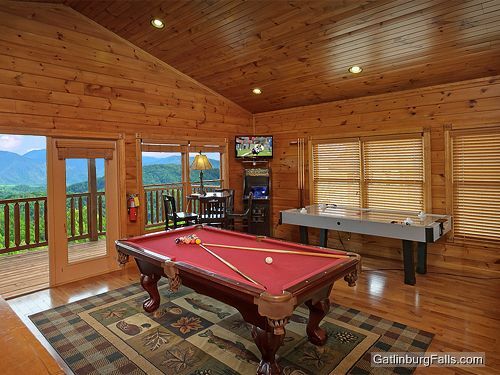 This Gatlinburg cabin offers a game room loaded with the best including pool table, air hockey, and Ms. Pac Man/Galaga and Golden Tee arcade games. 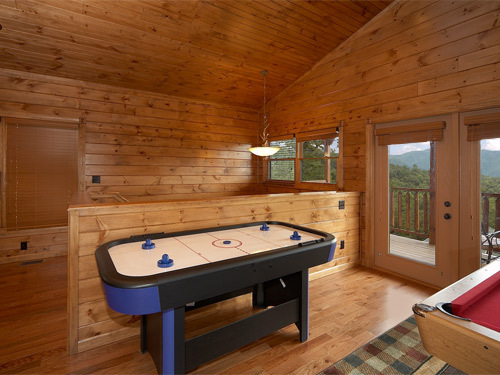 But its not just games only. 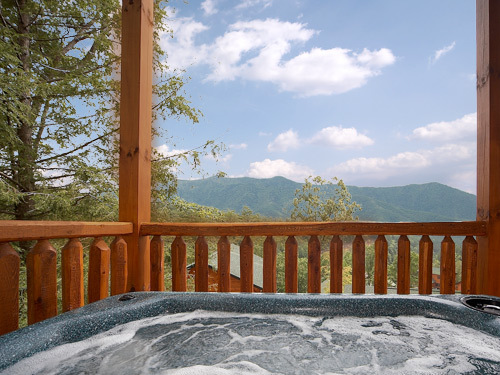 Relax in your hot tub overlooking spectacular Park views. 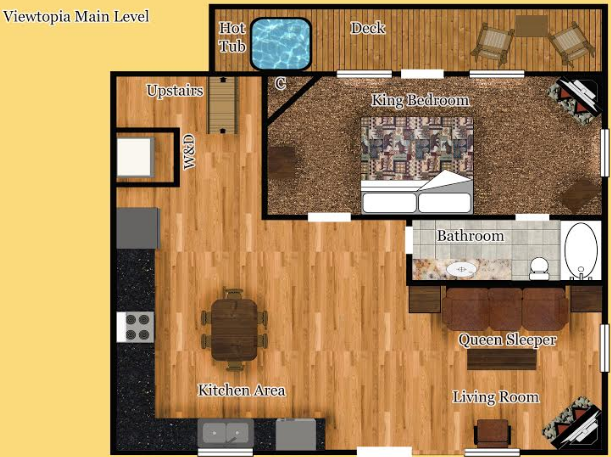 Two vertical jetted shower spas. 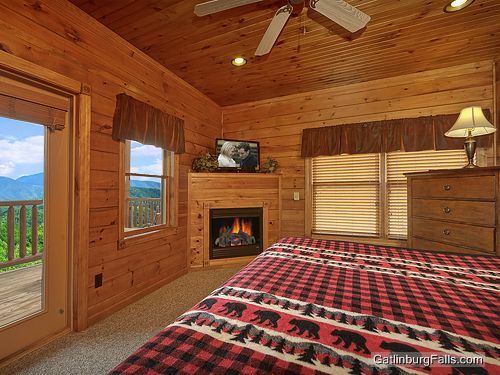 Two spacious king bedrooms, both with cable TV and fireplace. 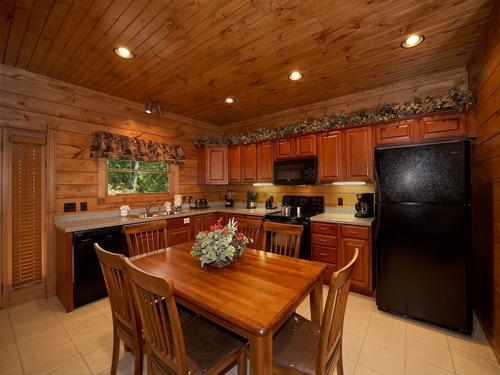 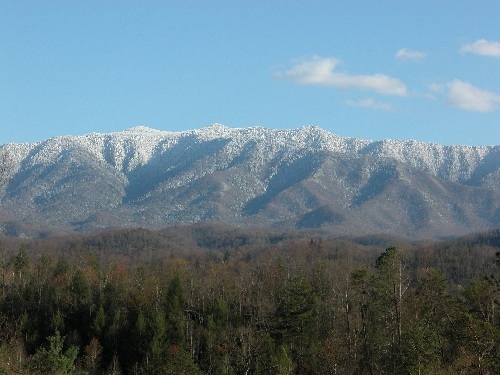 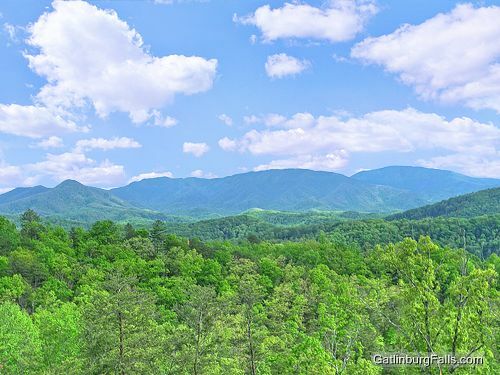 All just minutes from downtown Gatlinburg and the Great Smoky Mountains National Park. 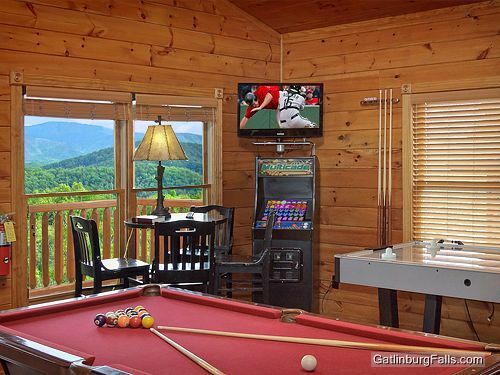 Viewtopia and Gatlinburg Falls Resort...where you get it all and never get enough.